Matilda was born in Waterproof LA on January 19,1948 to the union of the late Pearlie and Thomas Miles Sr. Matilda was baptized at an early age in Waterproof, La. 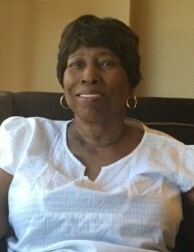 She was a member of Cypress Grove Baptist Church and later joined Greater New Jerusalem M.B.C. She was preceded in death by her parents Pearlie and Thomas Miles Sr, one brother Roosevelt Commack. She leaves to cherish her memories: three children Reginald Miles (Shelia) of Largo Maryland, Diana Tracy Miles (Derrick) of Kansas City MO, Bryan Miles Sr (Gayle)of Byram, MS. Four sisters Irma McGlory, Viney Harris, Lonnie Shorts all of Kansas City MO, and Julia Norwood of Jackson, MS one brother Thomas Miles Jr. of Kansas City MO. Nine grandchildren Sanadra, Ashley , Rontez, Melissa , Derrick Jr, Da’Von, Ty’Eshia Bryan Jr. ,and Xylon , five great-grandchildren. A host of nieces, nephews, cousins, and friends including three special friends Betty Fields, and Emma Bell, and Julia McDowell. Three adopted daughters Cheryl Lewis, Kathy Watson, and Brenda Daniels.